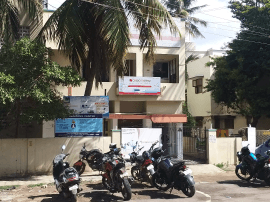 Java J2EE Training in Chennai – Credo Systemz being recognized as the Best Java Training Institute in Chennai, we offer real-time Project-oriented Java J2EE Training with state of the art lab facilities for both Fresher and experienced professionals. 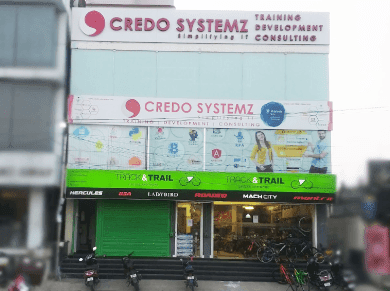 Credo Systemz offers Job oriented Java J2EE Training with detailed course plan briefing, Java Fundamentals with practical training of real-time project scenarios, and ensure our sessions provide adequate knowledge to our candidate to cope with the industrial needs for both Fresher & experienced professionals. With growing demand for Enterprise Java developers IT marketplace today, expand your knowledge of Java EE and related technologies today with comprehensive, expert training from Java J2EE Training Institute in Chennai. You can endorse what you know with a Java EE certification and move your career forward. Java J2EE is built on top of the Java SE platform. Real-time Practicals Create Registration form and perform validations. Real-time Practicals 1.Create the Servlet using Servlet Interface, Generic Servlet Class & Http Servlet Class. And print “Welcome to J2EE” using PrintWriter. 2.Create the Registration Form with name, password, gender, known languages, address and date of birth. Get the values in Servlet using HttpServletRequest object methods and print it. Real-time Practicals 1.Get the employee number from the user. Fetch employee record based on employee number from database and display the employee record using Servlet. 2.Perform CRUD operations using servlet. a) Create the welcome page for add the employee details and view the employee details. b) If you click view, then it has to display the employee details with edit link and delete link options. c) If you click edit then it has to display the employee details with update option. d) If you click delete option then it has to delete the record. Real-time Practicals 1.Write the method to add 2 numbers in JSP and display the result. 2.Get the 2 numbers from user via HTML Form. Divide the two numbers and display the result. If the divisor is 0 then throw the exception using JSP. Real-time Practicals 1.Get the employee number from user. Fetch the employee record based on employee number from database and display the employee record using JSP. 2.Create 3 Pages login, logout and home page. User can't go to home page until the user is logged in. If user is logged out, he need to login again to visit home page. Use Session tracking techniques in JSP. Real-time Practicals 1.Display the Collections and Nested Bean Properties using Expression Language. 2.Create the Custom Tag that has to display “Hello World” in JSP. Real-time Practicals 1.Get the Account number, customer name, deposit amount from user and store the value in Database and return the Account Balance to user using EJB. Detailed instructor led sessions to help you become a proficient Expert in Java J2EE. Build a Java J2EE professional portfolio by working on hands on assignments and projects. Lifetime access to downloadable Java J2EE course materials, interview questions and project resources. Get hands on experience of XML technology. Understand the importance of extension JDBC package in Enterprise Java applications. To understand and use the Java Persistence Architecture API for ORM activities (JPA). To implement asynchronous applications and MessageDriven Beans using JMS. To learn send/receive mails using Internet protocols SMTP, IMAP and POP3 (JavaMail). Master the whole process of designing, implementing and deploying J2EE Applications. To implement and access Web Service components using EJB in a Java EE application. Customisable Advanced Java Courses to include Spring, Hibernate, Struts to enhance your skillset from novice to an advanced professional. Credo Systemz is providing Best Java J2EE Training in Chennai with the best trainers in the city who have vast knowledge in the field. The Java J2EE training for beginners that we providing is more Practical Oriented rather than Theoretical as a result which will be very much helpful for the candidates to work in that technology when they get the opportunity to work in Java J2EE. Basically, Trainers in Credo Systemz are working professionals/industry experts who are having 9 Years of experience in IT industry as they can only provide real-time Dot Net training to the candidates. As a result, Credo Systemz is very much Prominent and most noteworthy for Best Java J2EE Training in Chennai. What are the Prerequisite to join Java J2EE Training? The course is designed to meet the needs of Java programmers who want to be specialize in building mission-critical enterprise software using EJB. Students should be familiar with programming techniques and have substantial Java programming experience including JDBC, RMI, Servlets, and JSP. What is the course duration for Java J2EE ? As a Java J2EE developer, what next can I learn ? As an experienced Java J2EE developer, you can gain additional knowledge by learning the advanced topics. Credo systemz offers Class room training, online training and Corporate Training. The training will be provided by expert trainers having more than 10+years IT experience currently working in the Industry.